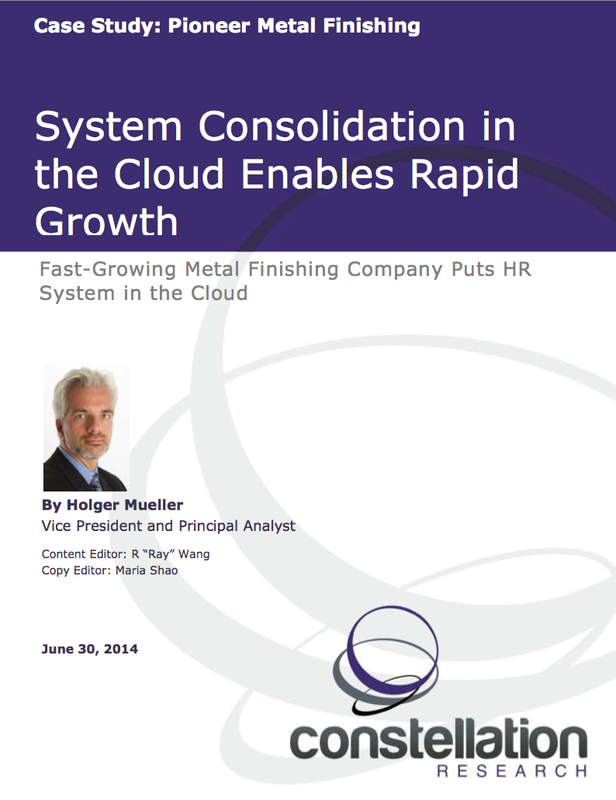 System Consolidation in the Cloud Enables Rapid Growth | Constellation Research Inc.
Pioneer Metal Finishing is a rapidly growing metal finishing services company. The company replaced its legacy HR suite with Kronos to bring HR core, benefits, attendance, and payroll together in one self-service, cloud-based system. The Kronos implementation resulted in increased HR information quality and ability to quickly onboard new employees.